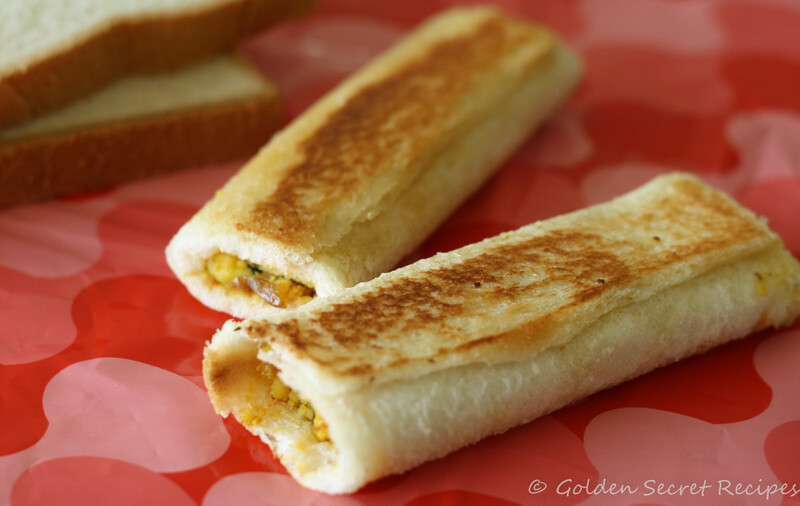 Paneer roll up is a very easy snack to prepare and an easy grab for the kids. You can make this as breakfast or as an evening snack or pack it for lunch! 1. Heat oil in pan and add cumin seeds. Once it splutters, add chopped onion, ginger garlic paste, chopped green chillies and salt. 2. Once onions turn light pink, add red chilli powder, turmeric powder, coriander powder and garam masala. 3. Saute till the spices cook well and oil starts to separate. Then add paneer and mix well with the spices. 4. Cook for 3-4 mins in medium high flame. Garnish with chopped coriander leaves. 5. Slice off the sides of the bread slice. Using a rolling pin, roll out the bread slice. 6. Sprinkle some water on the bread slice and spoon in 1 tbsp of filling on the bread slice. 7. Firmly roll the bread and using some water, try to stick the end of the bread, so that it doesn’t roll out. 8. Repeat steps 5-7 for each slice of bread or till the filling is used up completely. 9. Heat butter in a pan. 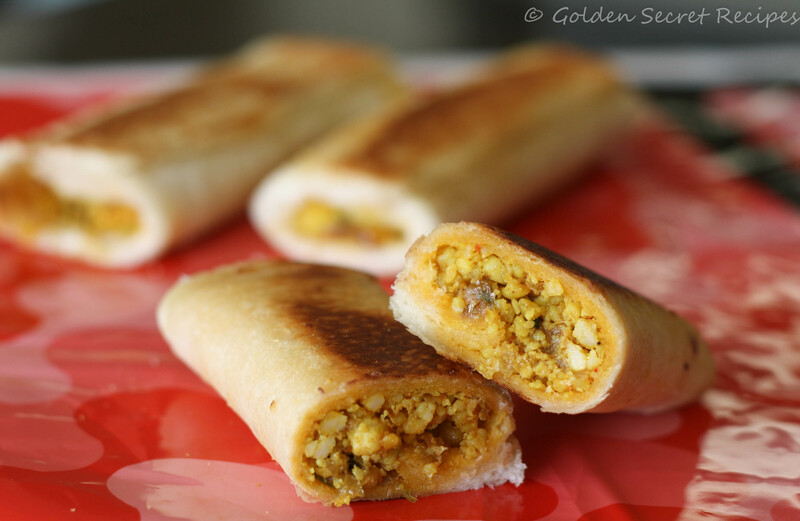 Pressing lightly, roast both sides of the rolled bread till the bread turns light brown, to form slightly crispy paneer roll-ups.